Approximate size of character: 26cm (size can vary depending on the thread used and the size of hook). 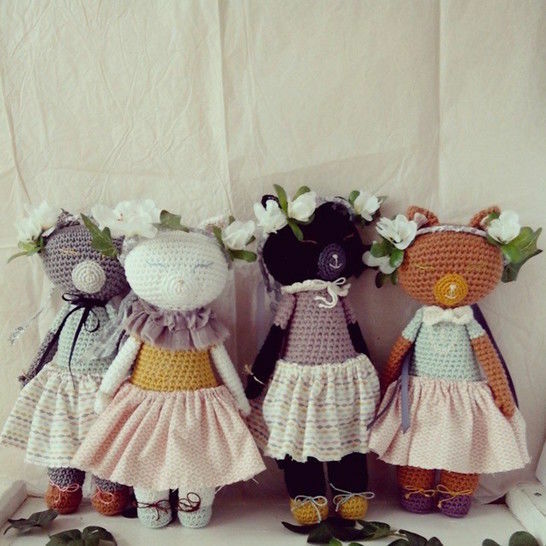 Pattern to create a cat and her skirt (the crowns were made by another designer for this occassion). Ideal character for decoration or as a toy for children of all ages.